Join this programme to explore your creativity in sketching, and of course, enjoy the beautiful cityscape during a fascinating tram trip around the Hong Kong Island! I will give be providing you tips on sketching while guide, Haider Kikabhoy, from Walk In Hong Kong 活現香港 will be on board to share the vivid stories of various interesting spots along the way. Students who join this programme will be sketching on notebooks provided by Moleskine, and the ten best works will receive a set of limited Moleskine notebook series as an encouragement on their creative journey!! This programme is co-ogranised by the General Education Unit, HKU and Moleskine, and supported by Walk In Hong Kong 活現香港. # Participants will finish the sketching after the tram trip and submit to GE in early September. 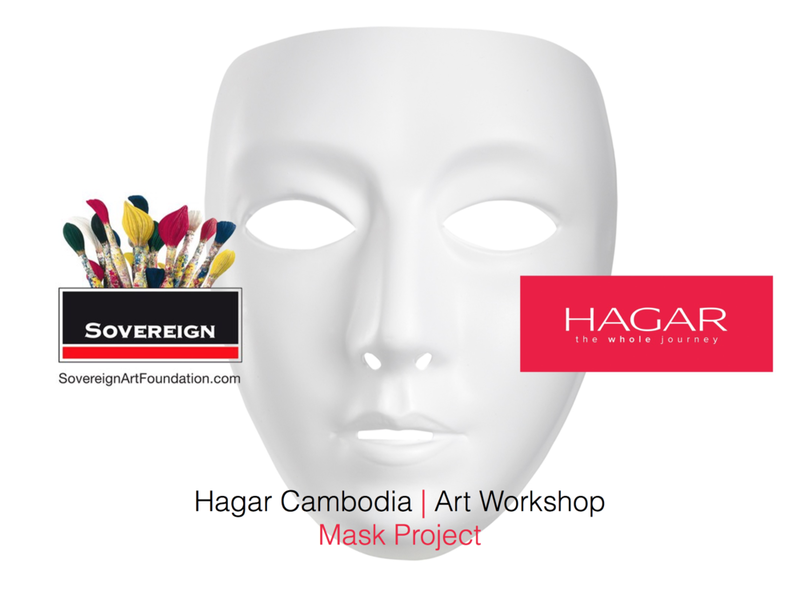 Returning for the second year, Marc Standing and I were invited to work with the Sovereign Art Foundation to produce an arts workshop for Hagar International's school in Cambodia. Hagar International is a charity dedicated to restoring the lives of women and children in Afghanistan, Cambodia and Vietnam that have been torn apart by human rights abuse. In 2014, Marc and I produced a multi-media workshop that focused on breaking down the art process into several steps to produce a piece of work over a week. 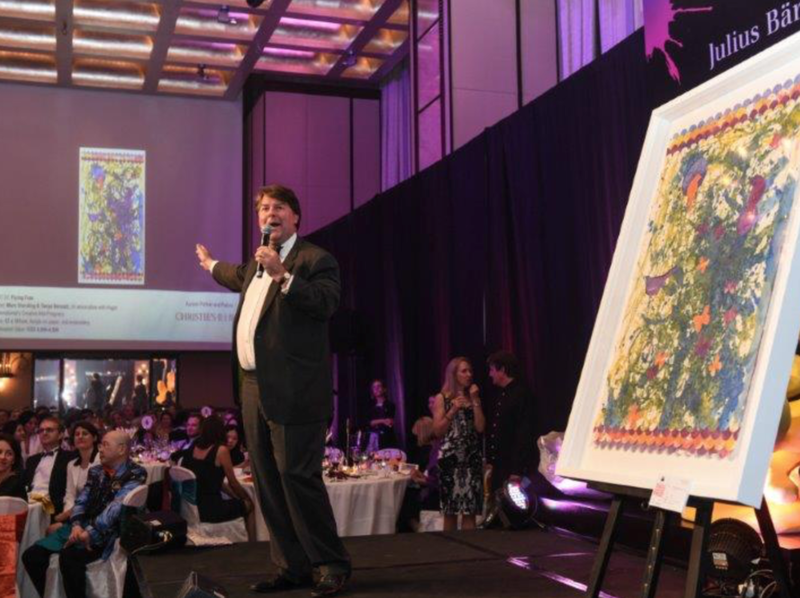 Each child produced a piece of their own art and we also made a collaborative piece that was auctioned off at the Sovereign Annual Gala Dinner, with the monies raised going back to the creative arts programme at Hagar International, Phnom Penh. 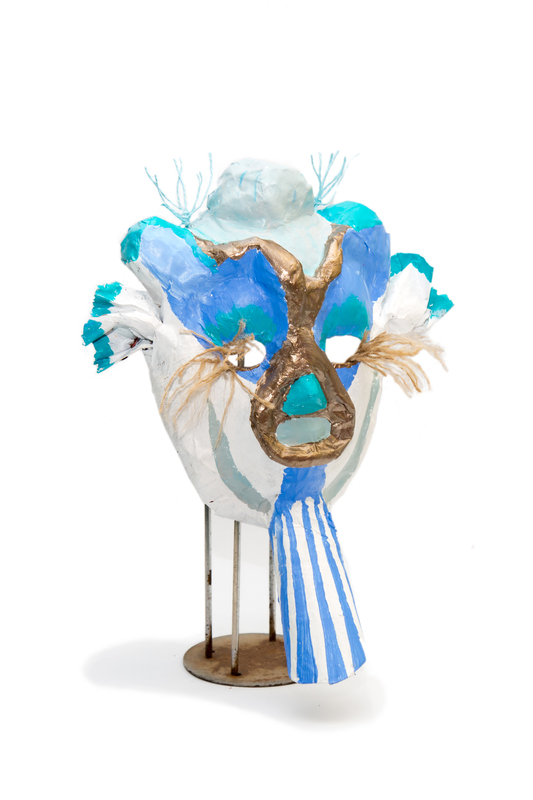 This year, we wanted to explore the notion of identity through the use of masks. 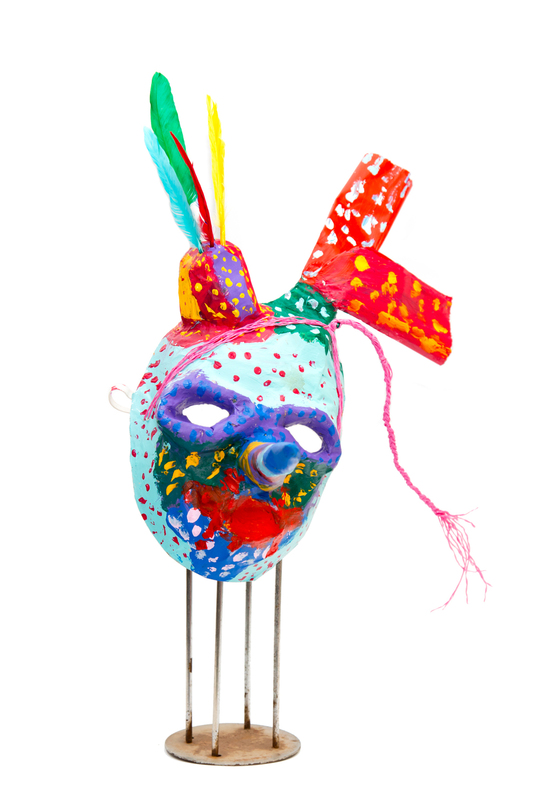 This presented both a technical and fun challenge for the children; and an opportunity for them each to allow the person who wears them to transform into a different identity of their choosing. We began with a short lesson in the history of masks and the children drew some preparatory sketches of what they envisioned their masks looking like. 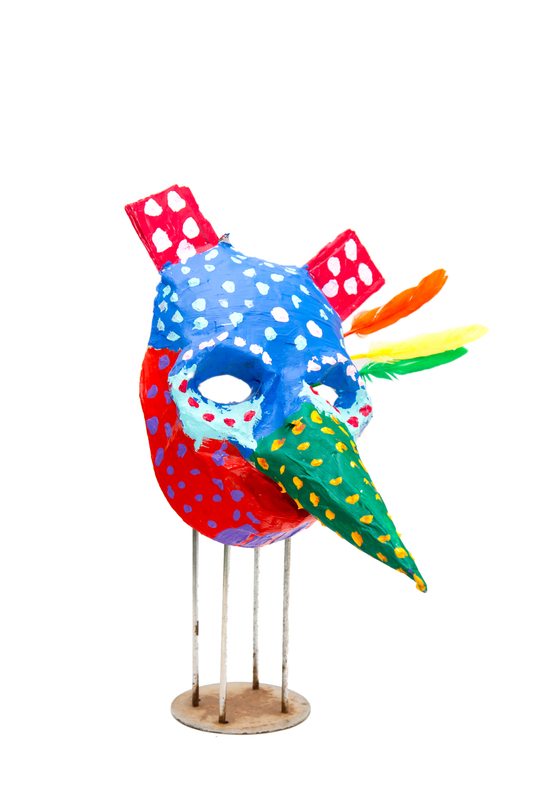 Over the following week, we taught the children how to Papier Mâché and paint and embellish their masks with materials that were available locally, such as twine and matchsticks. At the same time, we worked as a group to produce a large scale mural made of masks on a piece of canvas, that we would later use as a backdrop for a series of photographs. On the final day of the workshop, we photographed the children playing in their masks, in the newly built playground area of the school. 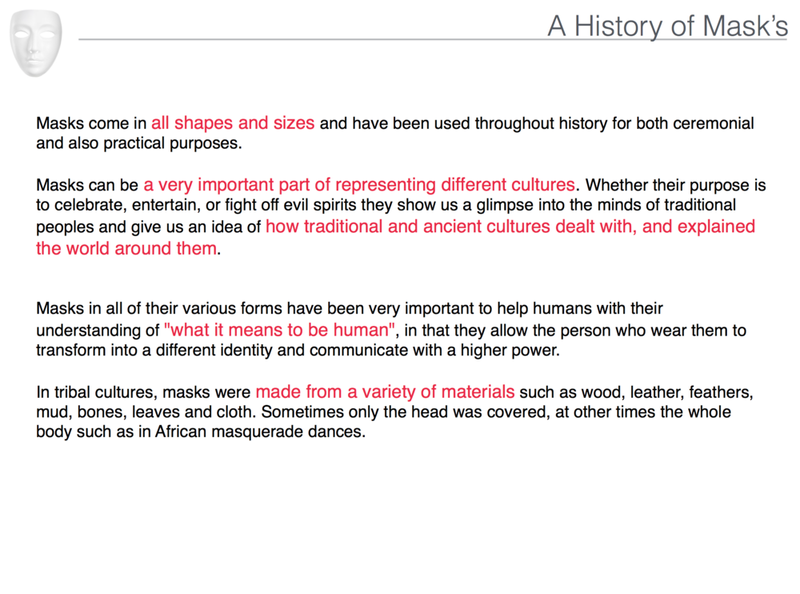 Each child assumed their own identity as per the character that they had created. 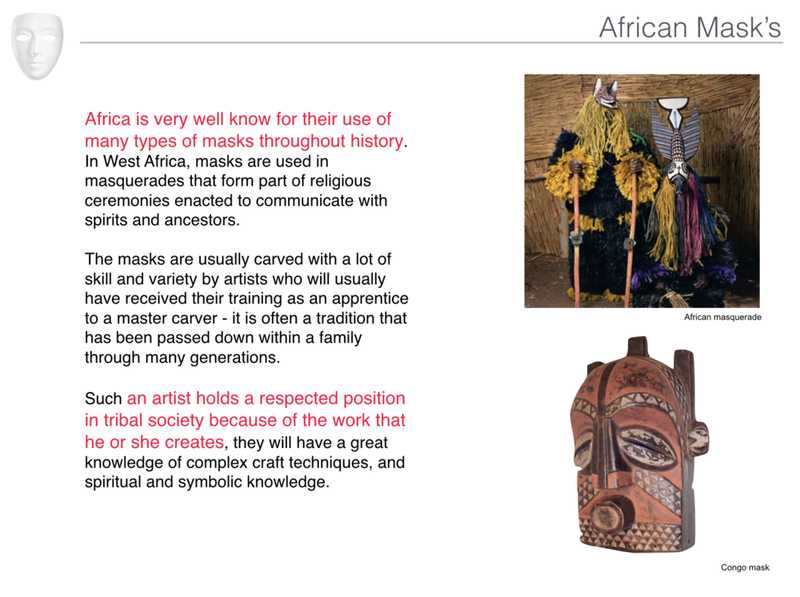 We were delighted and inspired to see such a diverse set of incredible masks. We presented an overview of the project at Java Arts in Phnom Penh at an artist's talk and will do the same at the Popsy Room this evening in Hong Kong. Tanya and Marc will talk about their practices as commercial illustrator and artist, respectively. They will highlight their collaboration with SAF and their experiences working with Hagar International. Since graduating in 2007 with a degree in clothing design and manufacture, specialising in illustration and fashion advertising, tanya has been working in the field of art, design and marketing for over eight years. Moving from the UK to China in 2007 and then Hong Kong in 2009, Tanya aka Pirate, has interacted with a huge variety of multi-national companies and brands, each one requiring their own bespoke response to an inherently creative brief. Born and raised in Africa, Marc Standing obtained his BAFA degree from the University of Cape Town in South Africa. He immigrated to Australia in 2005 and has spent the last five years in Hong Kong. 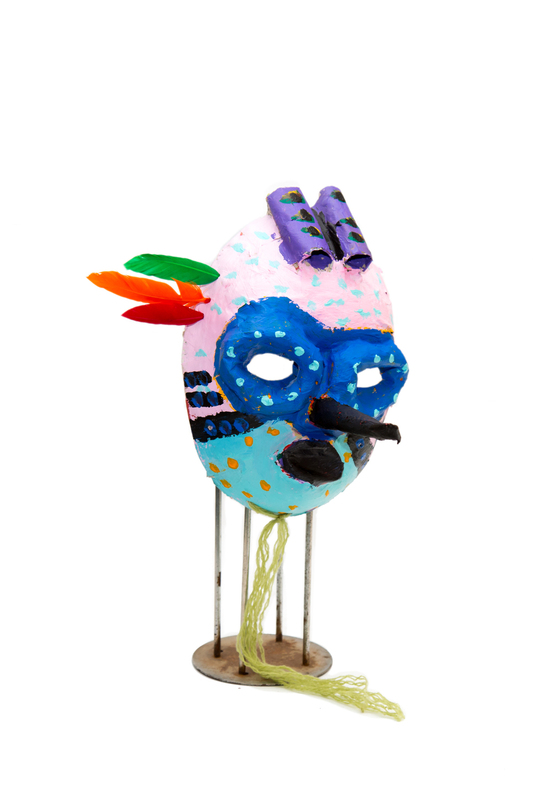 Standing is a multi disciplinary artist working with paint, sculpture and paper and has held numerous solo and group exhibitions internationally. 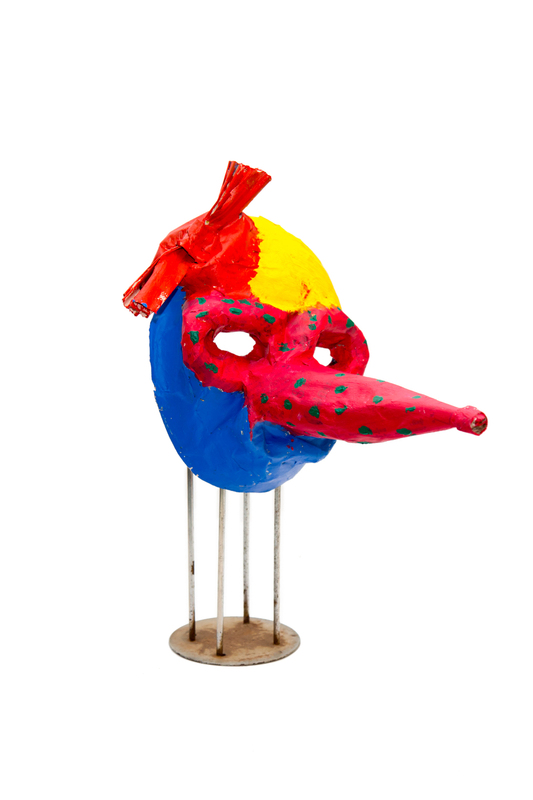 His oeuvre encompasses themes concerning identity, belonging and displacement. 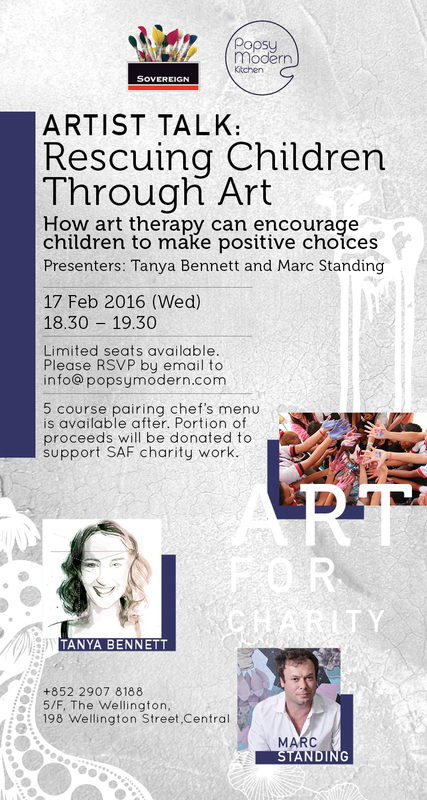 The Sovereign Art Foundation (SAF) is a charity registered in Hong Kong, Africa and UK that raises money to help disadvantaged children using the arts as rehabilitation, education and therapy. SAF was established in 2003 with a well-defined twin focus: to not only bring the proven benefits of art to underprivileged children in the region, but also to recognise the growing wealth of contemporary art talent in Asia. I am donating custom portrait artworks to backers of The Helper Documentary, to help raise funds to get this film made. There are currently more than 330,000 migrant domestic workers living in Hong Kong. All too often, they are overlooked and dehumanised. At worse, they are abused and mistreated. We want to tell some of their stories and help to change the way they are viewed within society. This is a FREE to public event showcasing Hong Kong’s home grown talented designers and great range of amazing food options for all you foodies out there! The N+TC 90-Day Better For It Challenge was launched recently in Hong Kong and Sassy Hong Kong teamed up with Nike to bring you Nike Training Club x Sassy Tuesday Training on Bowen Road at 7pm EVERY Tuesday night throughout the months of May and June.